Last week, I was very excited to see that our canvases arrived . 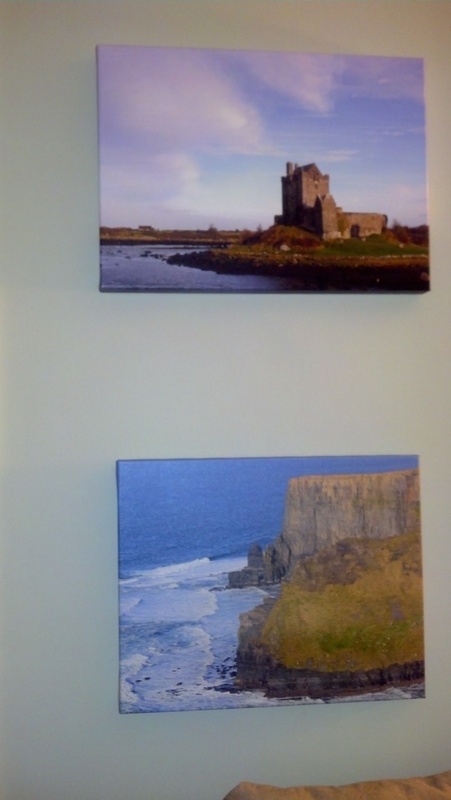 A couple of months ago, I saw a coupon for photo print canvases and purchased the deals in anticipation of our trip to Ireland. Once I sorted through the hundreds of pictures, I chose 2 to be printed and hung on the wall. The top picture is of Dunguaire castle and the second is a picture along the water from the Cliffs of Moher. Though it is not part of the actual “cliffs” it was still a beautiful picture. In other news, last week was also Valentines day. We decided to continue with our tradition of cooking a nice dinner, enjoying some wine, and relaxing at home. This year we decided to try using scallops. Scallops cook fairly quickly which can be both a good and bad thing…good in that dinner would be prepared fast but bad in that we could easily over-cook the scallops and ruin them. 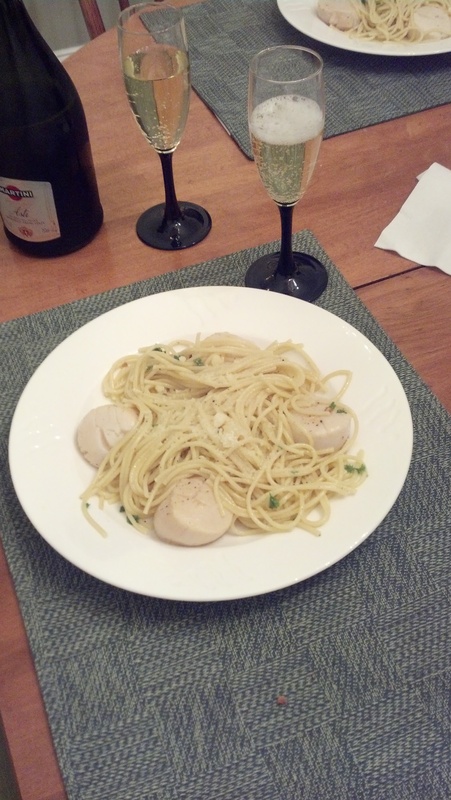 We decided to do a scallop pasta in a white wine sauce. 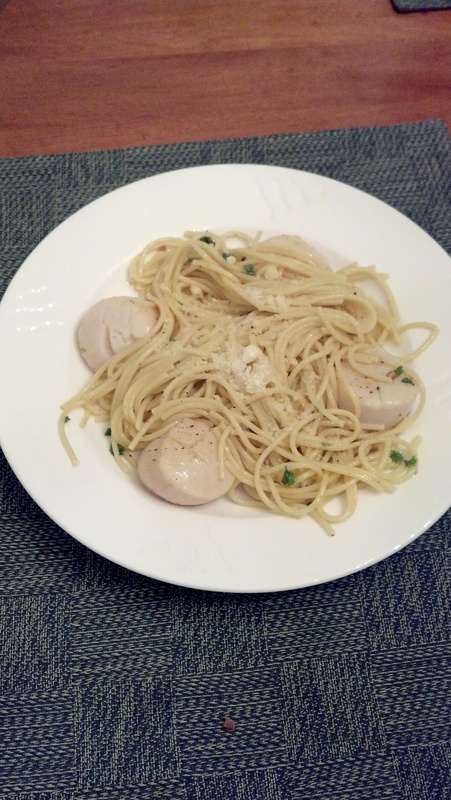 This dish is quick and easy, just make sure to keep an eye on your scallops! 1lb of scallops. We found huge scallops at whole foods and ended up with about 8 scallops, 2oz each. The scallops still tasted sweet and the sauce was light yet flavorful. It was a perfect Valentines day dinner and I’m sure I will try it again for another special occasion! The weather has been really crazy here in Atlanta lately. This past weekend, there was no need for jackets, sweaters, or even closed-toe shoes. We had warm temps in the 70s and high humidity, definitely not typical mid-January weather. But, for the past few days it has been raining and the news says to expect below freezing temps! 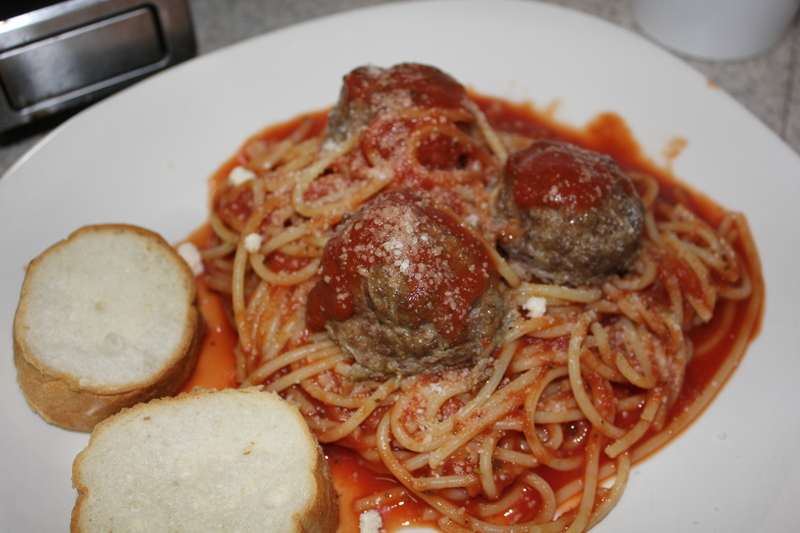 Thanks to all the rain, I’ve had a chance to relax at home and try new recipes. 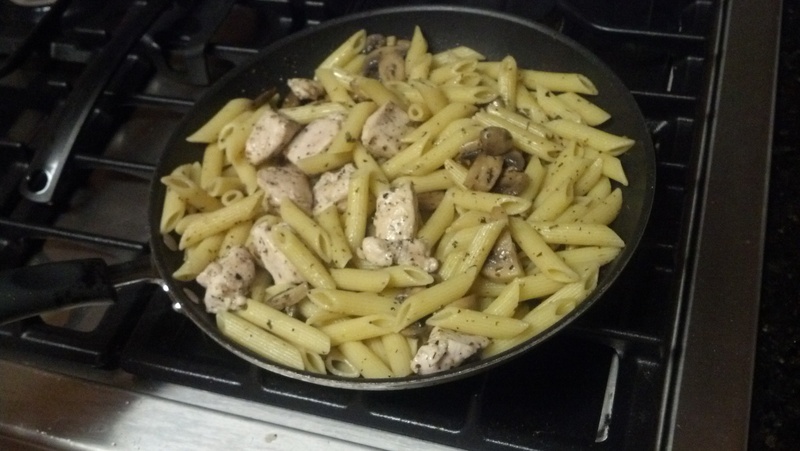 For dinner, I attempted a chicken and mushroom dish. 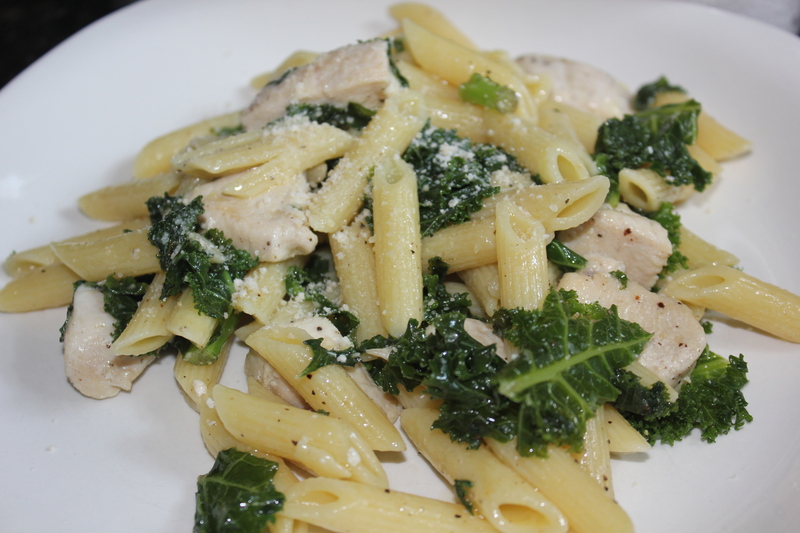 A lot of chicken and mushroom pastas tend to have creamy sauces but I wanted to do a lighter version. Top with parmesan cheese and serve! Easy and done! Plus, there was plenty leftover to pack for lunch! We wrapped up the meal with leftover dessert. Is there such thing as leftover dessert, you might ask? 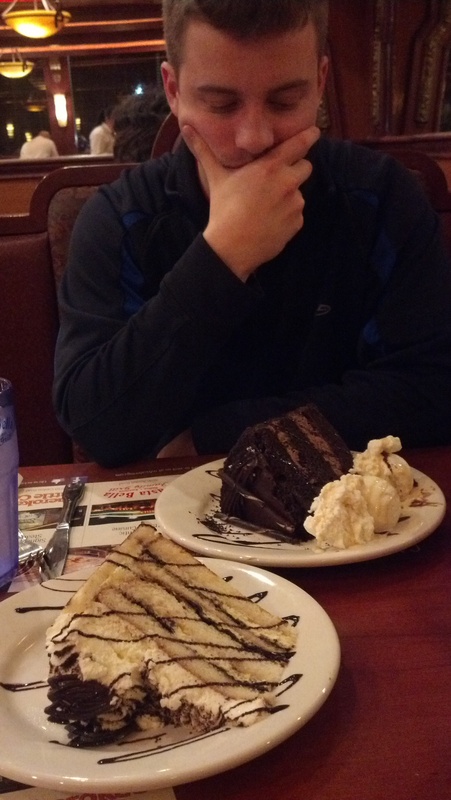 Usually not…unless you go out and are served massive slices of cake that are impossible to finish in one sitting! 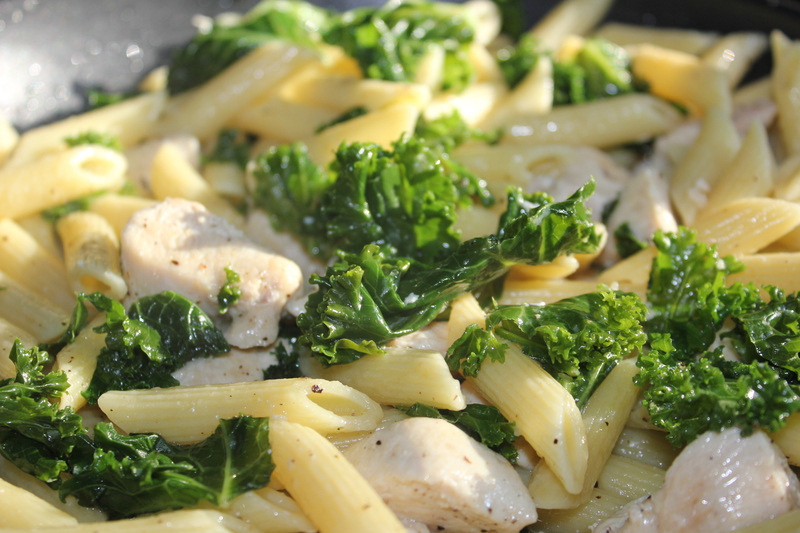 During my most recent food shopping run, I ended up with some kale and chicken. As much as I enjoy trying new restaurants around Atlanta, sometimes it’s nice to make a meal at home. 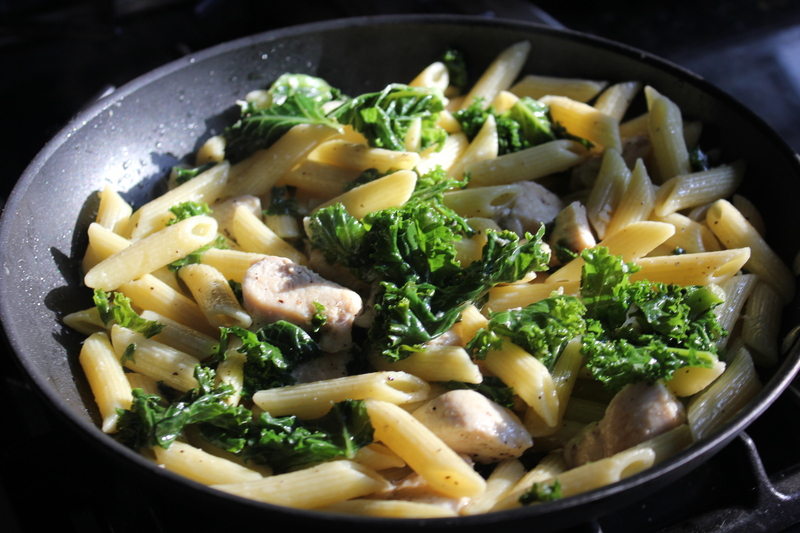 So for dinner, I ended up taking what we had and making a really nice, light, and simple pasta dish. Get ready for a super easy recipe! 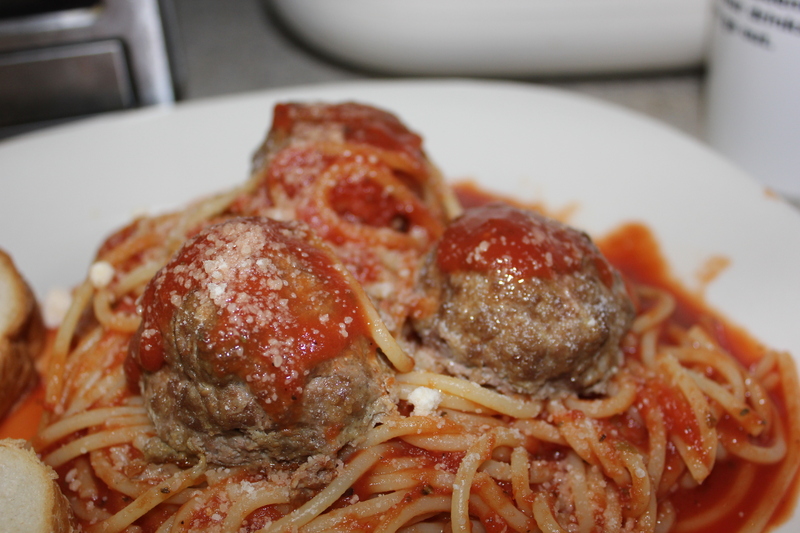 A classic pasta dinner…well sort of. I decided that I was going to put a little more effort into dinner this time and make something other than the usual meat sauce. After I found the recipe for the mini apple pie bites, I saw another post with parmesan meatballs. It seemed like the perfect match for the spaghetti I planned on making. Mix and shape into 6 meatballs. Place in a pan and bake at 375 for 25 minutes. (I didn’t grease the pan since the meat tends to give off enough to prevent sticking and I didn’t want them super greasy). Place on top of the spaghetti and enjoy! So, I think I am going through a tomato and goat cheese phase at the moment. I have some extra tomatoes and goat cheese sitting around so I tried to think of another easy meal to make. The only hard part of this meal was chopping the tomato since it’s a little difficult to do that with one hand. I will say that when I pulled out the knife, there was a slight hesitation considering this was how I injured my hand in the first place and it still isn’t 100% healed yet. 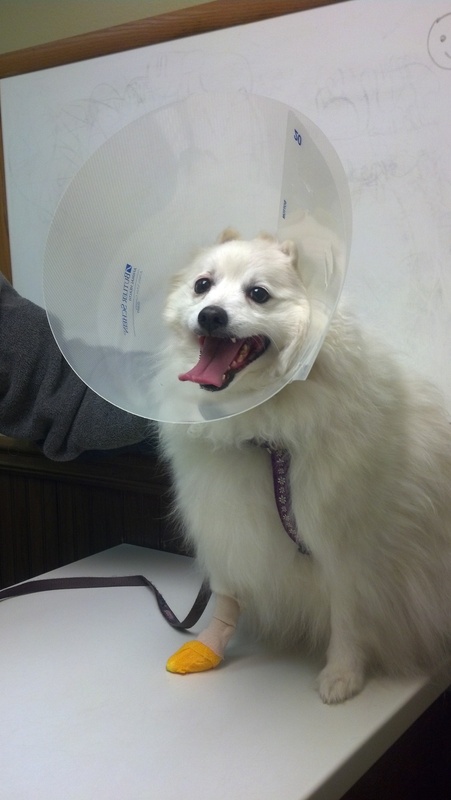 I think it was my hunger that helped me get over that hesitation fast. After debating how this could be done, I remembered that we had received a chopper as a gift and all I had to do was put what I needed chopped in the container and push down the button to cut everything. This was much easier the trying to maneuver with a knife. 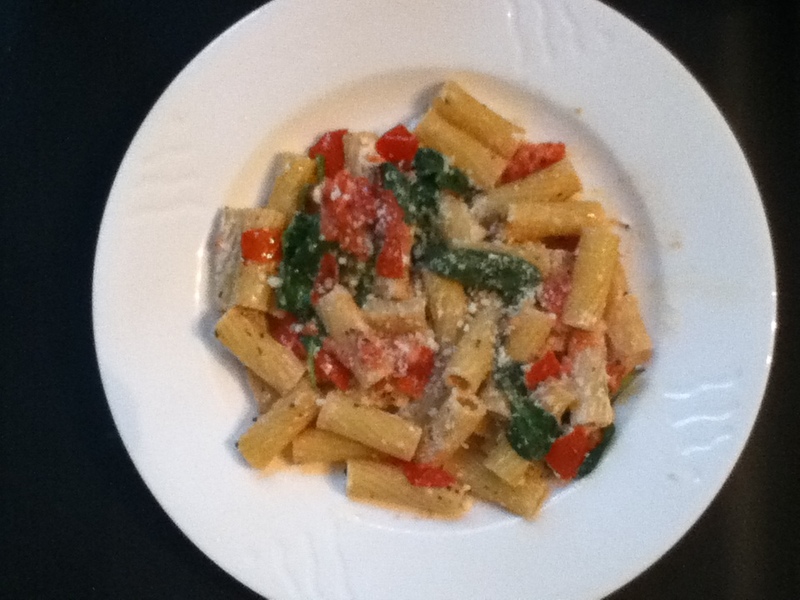 I cooked the pasta (rigatoni) and in another pan, I sautéed the tomato, some garlic, and spinach in olive oil. Once the pasta was finished I put it in the pan and added the goat cheese. Once the goat cheese melts, it makes the sauce creamy. I was only able to put a little bit of salt and pepper since I have trouble with the grinders so I added some parm cheese to add that salt flavor.